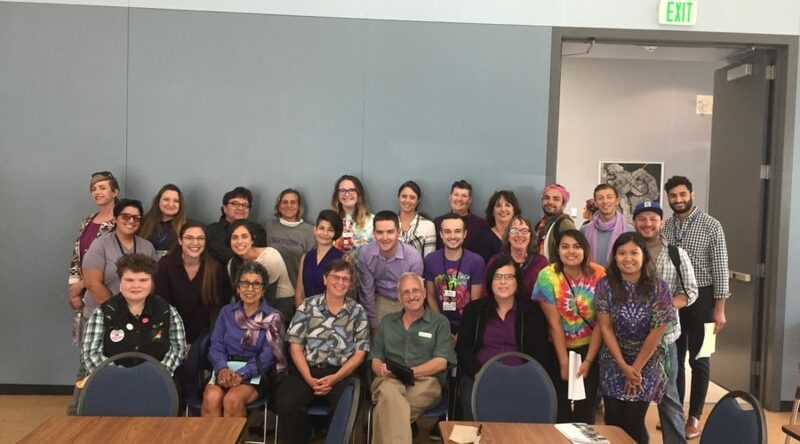 Thank you to the nearly 100 community members who came out in purple and packed the room to support our request for a funding extension at the Mental Health Service Act Steering Committee meeting! This was the first time local community mobilized to support the sustainability of our Pride Center, and decision makers were able to see firsthand the impact and importance of our space and services. Thanks to your historic participation, the Steering Committee voted unanimously to move our request forward! This was the first step of many and we need your continued support to ensure we make it to the State for an official approval of funding. From now until October 31st, the Mental Health & Substance Abuse Recovery Commission (MHSARC) is collecting public comments about the Pride Center and our request for a funding extension. Please support by uplifting your voice and making a public comment about the importance the Pride Center to you and the impact on your life and wellbeing. The following are several ways that you can make a public comment. If you were not able to make the meeting last month, you can access our presentation materials here and scroll below to read excerpts of the powerful testimonies given by courageous community members. For ideas on how to make a public comment and what to say check out these resources. Thank you to the over 30 organizations who submitted a letter of support for the Pride Center! If you are a part of an organization that believes in the work we do, there is still time to add your voice. Click here for a Sample Letter of Support template and submit to lisa.putkey@sanmateopride.org. The MHSARC will be meeting on November 7th from 3 to 5 pm in the Wind Room of the Foster City Community Center at 1000 E Hillsdale Blvd for a final vote on whether to approve us moving forward and making our formal funding request to the State. If you can, please join us at this meeting to support and make a public comment. Save the date: January 24th If we are approved locally on November 7th, January is the soonest that we will be able to make our case in Sacramento to the Mental Health and Service Act Oversight and Accountability Commission (MHSA OAC). We are hoping to be on their agenda January 24th and plan to carpool up to Sacramento with as many community members as possible. If you are able to join us contact me at lisa.putkey@sanmateopride.org or 650-554-1234. I’ll leave you with the moving words of our incredible community. Their stories give me hope and courage to fight for a better world for our queer and trans community. I hope that you will join our voices with your own!